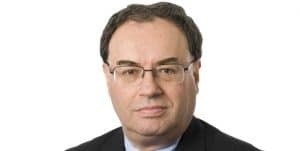 The Financial Conduct Authority (FCA) has issued a statement this Monday, confirming that United Kindom and United States authorities are putting measures in place, so when the UK leaves the European Union (EU), in whatever form that may take, there will not be regulatory uncertainty regarding the derivatives market between the two markets. The statement today was released on behalf of the FCA, Bank of England (BoE) and the Commodity Futures Trading Commission (CFTC). Specifically, the three authorities have stated that US trading venues, central counterparties (CCPs) and firms will be able to continue to provide services in the UK. At present, because the European Commission has declared CFTC regulatory framework equivalent to that of the EU, US trading venues and firms can provide services within the region. Now, UK authorities have come to the same conclusion, and British firms will be able to access these firms on the same basis. The BoE, FCA, and CFTC have also put in place information-sharing and cooperation arrangements. This is to support effective cross-border oversight of the derivatives markets and participants. As part of this effort, the BoE and CFTC are in the process of updating their Memorandum of Understanding (MoU), which was originally signed in 2009 and covers clearing activity. This MoU will now recognize CFTC-registered CCPs. Furthermore, the FCA and CFTC are also updating their MoUs which cover select firms in the derivatives and the alternative investment fund industry. These agreements were signed back in 2013 and 2016. 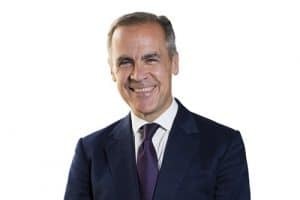 The Governor of the Bank of England Mark Carney added: “Derivatives can seem far removed from the everyday concerns of households and businesses, but they are essential for everyone to save and invest with confidence. For more information, you can read the full statement here.